Rent ANY Piece of Culligan Equipment for $6.95/mo. 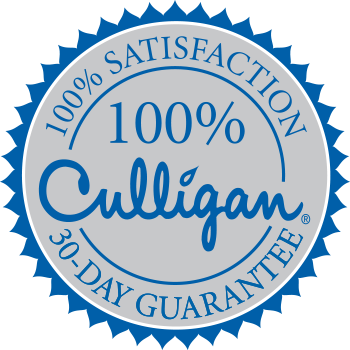 Want to see the difference a Culligan system can make for your family in your home? Try us out! Contact us today to schedule an in-home consultation. Installation fees are included! *Excludes $50 installation fee. Excludes bottled water. Order Service Online, Get 10% Off! Looking for replacement services? Order online and save! 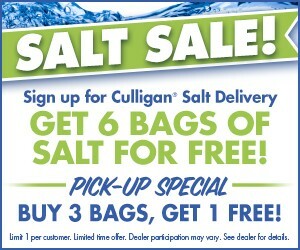 Sign up for Culligan Salt Delivery! Get 6 bags of salt for free! Pick-up Special Buy 3 Bags, Get 1 Free! Disc. Limit 1 per customer. Limited time offer. Dealer participation may vary. See dealer for details.